Yelapa is a small fishing village on a lovely quiet cove off Bandera's Bay, about 45 minutes south of Puerto Vallarta by water taxi. 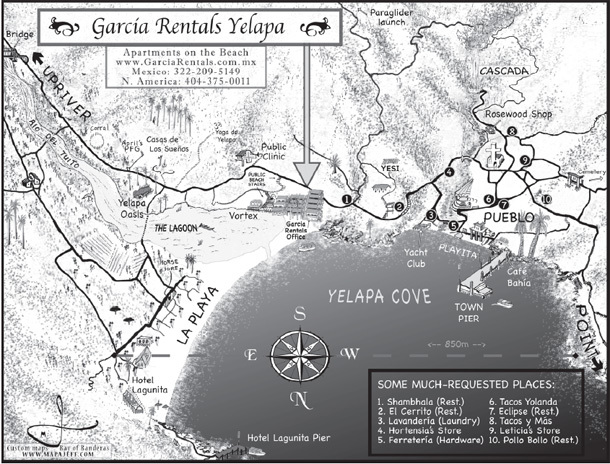 There are no roads and no cars here, so you won't find Yelapa on a road map. But there are horses, burros, lots of activities, friendly people, and a beautiful beach for an unforgettable vacation.